This luxurious black velvet dice bag with ultra smooth red satin lining is perfect for transporting (or storing) your favorite dice. It can comfortably accommodate your dice and doubling cube. 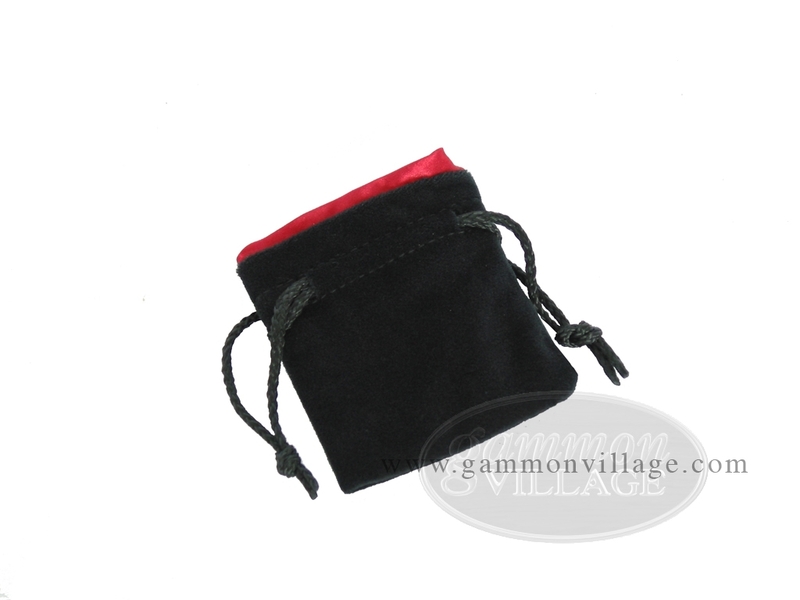 It has strong drawstrings to keep your backgammon pieces safe from dust and scratches. It's the perfect storage bag for your backgammon accessories, and will add value to any luxury backgammon set. High quality, great price! Page P5670 Copyright © 1999-2019 GammonVillage Inc., USA. All rights reserved.